I didn't expect for it to hit at a Chinese buffet in a small Texas town. I really couldn't have planned it to be more melodramatic than that. There I was, pretending to pick over pieces of crab rangoon, desperately trying to fight back tears. I don't know what came over me. I don't know why it hit so suddenly and unexpectedly. We walked in, and the waitress simply asked if I needed a high chair for Cora's car seat. I could tell from her heavy accent that she'd be more comfortable speaking Chinese, and I muttered, "mei wenti, bu yong" before catching myself and saying "No problem. I can just set her on this extra seat." I felt like since she spoke English to me, I should speak English back… I don't really know why. But in the moment and in that setting, saying anything in Chinese seemed silly… as if I wanted to show off. I don't think she even heard my muttered Chinese. Or maybe she did - her eyes did sort of flash a look of surprise - but the moment quickly passed and she went on with her work. And the fact that I no longer felt free to speak Chinese broke something deep in my heart. And then something angry welled up inside of me… boiling, rolling, and spewing out of me in one singular question: "Where the hell is that?" I am in my hometown. I'm sleeping in my husband's childhood home. I live less than 15 minutes from the bedroom where I grew up. The town hasn't changed much since my childhood. All signs point to this being "home." Everyone we meet says things like, "Oh you must be so glad to be back." I politely smile and nod my head… I am truly glad to be back. But their assumption that there's no place I'd rather be than in this dusty, windy town leaves me a little angry. I want to sarcastically ask them, "Oh, do you think I stayed in China against my will all those years?" But indulging my anger by lashing out at those who are genuinely glad to have us back is cruel and destructive. Since that moment 3 days ago in the restaurant, I have spent many hours crying. Spent many hours angry. I'm not sure why I'm angry… not even sure where to direct this anger… but it is there nonetheless. I'm angry that I don't yet have a home to replace the one I left. (My underwear drawer is a suitcase.) I'm angry that I'm lonely - put in a place where I feel like an alien even though it is my "home." (I miss our community and our church and our friends.) I'm angry that God's provision for this season of our life puts us in a place I do not want to be. I'm angry that it doesn't seem to be as hard for Jacob as it is for me. I'm angry that I feel so unrooted. So alone. So lost. This doesn't have resolution yet. To be honest, I'm not past the anger. I haven't found the "moral of the story," so this isn't going to end on some inspirational note. Right now I'm just hurting. I'm sad and confused and uncertain about the future. I sense the Father beckoning me to let go of my anger and turn towards Him, but I'm not ready for that. I want to shake my fists at the sky and shout, "What was the point of all that!?!" Going to China was hard. Living there was hard. Seeing what we saw was hard. Coming back was hard. On lots of levels (emotionally, practically, financially, professionally), reentry is hard. It just seems like one giant cosmic joke right now. And I'm hurting and angry, trying to make sense of the mess. The one thing that remains true in the midst of all of this is that Cora is a sign of God's grace to me. Having a baby at the same time that we made this transition defies common sense. But, I'm now seeing that she is daily painting me a picture of His joy, love, and faithfulness. She is a tangible reminder to me that He is good and present, even in circumstances I do not understand. I emailed you my comment, sister. Okay, well this is going to mess up your whole comment section! :) the deleted comment was my first attempt, because when I posted it, it posted under my husband's link! Then I tried to comment under my own, but it went as annonymous! Oh Carrie, it sounds like a normal part of grief, the anger. It hurts! Oh Carrie, let's have a skype date when I get back. I can so relate to your feelings. Being here for a short visit has not felt like home, but going back to an earthquake torn country does not feel like home either. Praying for you. Carrie, it's okay to be angry...confused...throwing questions at God. Glad you're getting it out. You NEED this, and in the long run it will make things easier. I know it's hard now, though. I've struggled with similar feelings after every move. We spent a little over three years living overseas. We weren't doing mission work, though I hope we did a little. The first year home was rough and I though the United States was right where I wanted to be. I can only imagine what you're going through. Everything overwhelmed me, from choosing from 50 different brands of bread to where to take the girls. I still miss where we lived but I'm happy where we are. It takes time but you'll find your happy place again. Until then, you're doing the right thing concentrating on that sweet baby of yours. You're in my prayers. I'm sure you don't remember me(and that's ok!)... My husband Brad (he's a drummer at 121) and I were part of your small group before you left. You were always such an encouragement to me then and have have continued to be through your blog (I've been following it for a while). I just wanted to thank you for your willingness to be open and transparent about your feelings, fears and every other part of your journey you have shared. I'm praying for you and your family and I hope your days begin to get a little brighter very soon! Also keep in mind what seems easy for Jacob now may hit him later. We all grieve differently. Which makes the process even more lonely. This season too shall pass. It would be foolish of me to say I understand. I don't. It would be foolish of me to try to offer up some weak words of encouragement or try to give you some answers. We both know HE holds them all and you will find them...in time. It would be so easy but foolish to offer up some cliche, like "life is hard but God is good". So instead I will just say that I am praying for you Carrie...right now....for God to comfort you as only He can, for you to have ears to hear His gentle whispers and for even more faith to hold on and believe that whatever He has for you- this season you are in right now is a crucial part of whatever blessings He has in store. Your feelings are real and you must allow yourself to process them in order for your faith roots to go even deeper. They are real. They are valid and sadly, probably nobody else can truly understand...not even your sweet husband. (his thoughts, feelings and emotions will be different simply because he is a different person) God knows and I will continue to pray for you during this season. My heart goes out to you. Sounds like your heart has two homes (three, if you count heaven): the U.S. and China, but physically, you can only be in one place at any given time. Of course it breaks at least half of your heart to be so far from those you love in China. Perhaps a Skype date with a friend there could provide some comfort? You know yourself best - take the time you need to process your thoughts and feelings. And do whatever you need to heal in time. You are loved! this is so real to me and to where I am now. You knew it was gonna hit ... even before you left didn't you. Ug. Never fun. And I'm so, so sorry for the loss you feel!! It's real and it's raw. BUT ... I will hope that this is only a "bookmark" for that chapter of your life and that you will return to it later in some form. Hugs to you and I will keep you in my prayers as you transition into a new place. Be kind to yourself in the interim. I'm so sorry you are hurting. Someone just quoted D.A. Carson to me from a book, I think, called How Long, Lord. Paraphrased, he basically said something about how we like to look for the moral of the story in our hurt, the lesson, the answer to "why?" but that we should just sit and be and rest in the fact that God is simply reaffirming His closeness to us and securing our relationship to Him. We don't have to have the light at the end of the tunnel or the paragraph at the end of the post about what we're learning in it all. Just rest knowing that you worship a God who sees and a God who is present and makes His home in you wherever you are. You don't know me but I too have been reading your blog for a while. I found your blog when my family thought we were going to serve over seas and were preparing for that. However God had a different plan for us but we still wait for Him to show us. We have been waiting for Him to show us for over 2 years now. Even though I have not lived in another country I feel a great connection to what you are feeling right now. We don't have a home of our own and haven't for the last 2 years. We have moved many times to many places. Each place offering the chance to connect but still very much at a distance knowing we would be leaving again. I long for that feeling of home but not knowing where that is. Wishing for what used to be but at the same time knowing I can never have that back. Feeling alone and yet not really being alone. The anger that comes when you just want the waiting to be over and God seems to have another timeline that you can't see. Oh I will be praying for you as God brings you through this. He knows exactly where you are and how you are feeling. He is longing to bring you comfort and when you are ready He will be there to give it. I don't know if it helps but just like others have said, you are not alone and what you are feeling is part of this process. A friend of mine just gave the lyrics to a song called "Peacemaker" by Greg Ferguson they are powerful and offered great comfort to me. I will be praying for God's peace for you. God's mercies are new every morning. Hold on JOY comes in the morning! Praying God quickly shows you the next step in his plan. 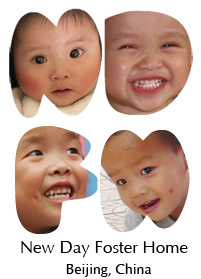 THANK YOU for serving God by loving on Chinese orphans. I am a mom to 2 former orphans. Crying with you. Praying for you. I knew from the moment I read the title, what this post was about. I have been waiting for it. I was expecting it. Sometime. I knew it would hit you at some point, as it likely will hit Jacob in his own way/time, too. Take all the time you need, and know in the meantime, MANY will be praying for you!